It's America's favorite action hero, paper towel throwing Donald Trump. 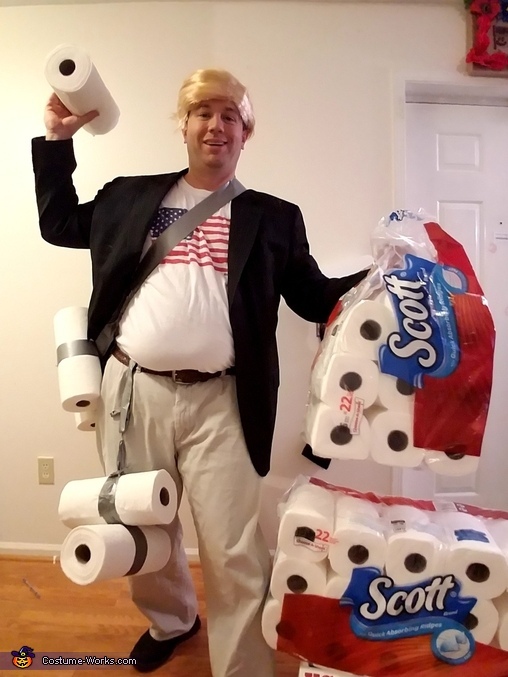 Several lucky kids WON some GREAT paper towels on Halloween, BELIEVE ME! Thought of the idea myself while eating at a restaurant. Some kids next to me were talking about dressing up as Trump while I was wiping my hands and it just came to me.